Eco-Global Crimes is the first volume in Ashgate’s Green Criminology Series, edited by Michael J Lynch and Paul B. Stretesky, two of green criminology’s leading scholars. The stated purpose of the book is to contribute to the growing field of eco-global criminology. In this respect the book does not disappoint, with a collection of thought-provoking essays on a range of topics relating to environmental and ecological crimes drawn from a variety of backgrounds and disciplines. The collection offers a useful guide to debates in eco-global criminology, including different conceptions of the term itself, as well as providing an assessment of the state of green criminology as a distinct sub discipline, with some useful suggestions for further development of the field. Spread over 15 chapters, Eco-Global Crimes is split into three chapters discussing the nature of Eco-Global Criminology (Part 1), Speciesism, Animal Abuse and Social Movements (Part II) and Biodiversity, Environmental and Species Justice (Part III). The book’s strength is in bringing these potentially disparate ideas together to develop a coherent examination of eco-global criminology’s discourse on animal protection (species justice), environmental harm and law enforcement (environmental justice), and socio-political discourse on the interaction between man and nature (ecological justice). Part I of the book indicates that within the growing yet now established discipline of green criminology, different conceptions exist on what constitutes a crime and what should be perceived as crime. 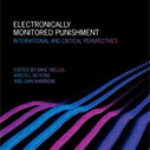 In her introductory chapter, Sollund writes that ‘because of the multivariate character of problems relating to eco-global crimes, it is necessary to expand the boundaries of criminology as a discipline’ (2012: 3). Rob White develops this theme further by showing that environmental harms often ‘transcend the normal boundaries of jurisdiction, geography and social divide’ (2012: 15). These first two chapters act as a gentle yet thorough introduction to the importance of eco-global criminology as a discipline; as being scientific and academic study concerned not solely with mainstream cops and robbers crimes of interpersonal violence and individuality, but with wider concerns of harms of a global nature which have long-lasting consequences for human and non-human animals and the biosphere. White thus identifies eco-global criminology as a discipline requiring transnational and comparative research to identify differences and commonalities between nation-states ‘whether related to pollution wildlife or other issues’ (2012:25). Larsen, acknowledging the difficulties of applying sometimes simplistic terminology to a complex area of study nonetheless also argues for a global research agenda, taking into account the role of the nation state in addressing environmental harms. Part II examines the concept of speciesism and the integration of species justice concepts into criminology. Animal abuse and speciesism have become a legitimate field of study for green criminology in part because of the widespread nature of criminal activities that victimize animals, but also because of growing evidence of the links between animal abuse and human violence accepted within criminological discourse. However, green criminology also considers the moral dimension of harms against animals that are legal but which arguably should be made illegal. Within this aspect of species justice discourse debates about animal rights and legal protection for animals often dominate (Singer 1975, Wise, 2000) but Eco-Global Crimes also considers human-animal power relationships and how the activities of animal activists and NGOs have become the subject of criminological enquiry. Aaltola (2012) utilizes a case study to ‘explore different representations of crime in the context of animal industries (2012: 158). Via a discussion of the campaign carried out by Stop Huntingdon Animal Cruelty (SHAC) against Huntingdon Life Sciences (HLS), a laboratory that tests the toxicity of chemicals on animals, Aaltola examines the manner in which campaigns against animal experimentation corporations have effectively been made illegal. Aaltola argues that direct action in defence of animals has been criminalized by the state partly due to commercial concerns and represents a disproportionate use of criminal sanctions to prevent animal activism. 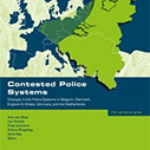 In Green Movements as Threats to Order and Economy: Animal Activists Repressed in Austria and Beyond (Chapter 10) Ellefsen offers an analysis of the perceived threat that green movements pose to the state — observing that recently green movements have been criminalized and subject to state sanctions. He identifies a rise in threat assessments over the last 15 years evident in reports from American and European state institutions and private security firms. Ellefsen identifies how an anti-mafia law intended to be used with respect of human trafficking was used against a prominent Austrian animal rights movement which had been successful in banning fur farming and pushing through progressive animal welfare legislation. Use of the law in this way arguably represents an attempt by the state to criminalize a civil society organization seen as challenging dominant social ideas or the established political order. White (2007) says that ‘political economy’ is at the heart of the exploitation of animals and environments and that property values assigned to animals and the environment are important in a capitalist system. Thus animal rights and environmental organizations that threaten such rights risk being affected by crime control policies, especially where they use direct action techniques that go against social norms and break existing law. Ellefsen concludes that criminalization of animal rights movements reflects the fact that ‘important societal interests are being challenged by the animal rights movement’ (2012: 202), but also that animal advocates ‘threaten the role and place of humans on our planet’ (2012: 203). Thus state power is being used to criminalize animal activists as a means of political oppression and to prevent animal activists from challenging dominant ideas about animal exploitation. Part III provides a thought-provoking discussion of species justice issues and conflicting attitudes towards the protection or exploitation of animals. Hagstedt and Korsell discuss how supporters of biodiversity and endangered species conservationists may be in conflict with the social, cultural and economic interests of hunters (2012: 210), indicating that a significant number of large carnivores are killed each year by unlawful hunting. Illegal killing of wildlife is not a new phenomenon, but is one often ignored by mainstream criminal justice agencies. Most jurisdictions have some form of animal protection law, providing legal protection for both companion and wild animals, albeit such legislation may protect animals only in certain circumstances and from certain activities. In practice, however, while the need for improved standards of animal protection legislation has generally been adopted at least by western legislators, criminal justice systems often fail to afford priority to effective enforcement of wildlife legislation. Instead this becomes the responsibility of NGOs or civil justice agencies and the level of enforcement is heavily dependent on NGOs ideological concerns and availability of resources (Nurse 2013). Dybing (2012), in a discussion of environmental regulation identifies the need for arousing public consciousness about harmful environmental activities; the implication being that even where the state has a range of environmental enforcement tools available, public engagement is a vital tool in changing attitudes towards compliance, without which the social destruction caused by environmental harm will continue, especially where corporate profit motives encourage this and weak regulation allows corporate environmental criminality to continue. Green criminology encompasses broad green perspectives which, among other things, provide a mechanism for rethinking the study of criminal laws, ethics, crime and criminal behaviour and regulatory approaches to environmental problems. Eco-global Crimes is an important entry into the green criminological literature and provides a timely discussion of the current state of the field and the need for its development. Across its 15 chapters Eco-Global Crimes maps various aspects of green criminological debate identifying both the important theoretical perspectives that set green criminology apart from mainstream criminological thought, but crucially also considering areas where a green perspective can and should be applied to mainstream criminal justice issues. While its topics are perhaps slanted towards a European perspective (perhaps inevitable given its authors) the book provides a useful summary of green criminological thought and contains something for all scholars of the green criminological perspective. Aaltola, E. (2012) ‘Differing Philosophies: Criminalisation and the Stop Huntingdon Animal Cruelty Debate’ in Ellefsen, R. Sollund, R. and Larsen, G. (Eds) Eco-global Crimes: Contemporary Problems and Future Challenges, Farnham: Ashgate. Ellefsen, R. (2012) ‘Green Movements as Threats to Order and Economy: Animal Activists Repressed in Austria and Beyond’ in Ellefsen, R. Sollund, R. and Larsen, G. (Eds) Eco-global Crimes: Contemporary Problems and Future Challenges, Farnham: Ashgate. Dybing, S.S. (2012) ‘Environmental Harm: Social Causes and Shifting Legislative Dynamics’ in Ellefsen, R. Sollund, R. and Larsen, G. (Eds) Eco-global Crimes: Contemporary Problems and Future Challenges, Farnham: Ashgate. Hagstedt, J. and Korsell, L. (2012) ‘Unlawful Hunting of Large Carnivores in Sweden’ in Ellefsen, R. Sollund, R. and Larsen, G. (Eds) Eco-global Crimes: Contemporary Problems and Future Challenges, Farnham: Ashgate. Larsen, G. (2012) ‘The Most Serious Crime: Eco-genocide Concepts and Perspectives in Eco-global Criminology’ in Ellefsen, R. Sollund, R. and Larsen, G. (Eds) Eco-global Crimes: Contemporary Problems and Future Challenges, Farnham: Ashgate. Sollund, R. (2012) ‘Introduction’ in Ellefsen, R. Sollund, R. and Larsen, G. (Eds) Eco-global Crimes: Contemporary Problems and Future Challenges, Farnham: Ashgate. White, R. (2007). ‘Green Criminology and the Pursuit of Ecological Justice’ in Beirne, P. and South, N. (Eds) Issues in Green Criminology, Cullompton: Willan Publishing. White, R. (2012) ‘The Foundations of Eco-global Criminology’ in Ellefsen, R. Sollund, R. and Larsen, G. (Eds) Eco-global Crimes: Contemporary Problems and Future Challenges, Farnham: Ashgate.